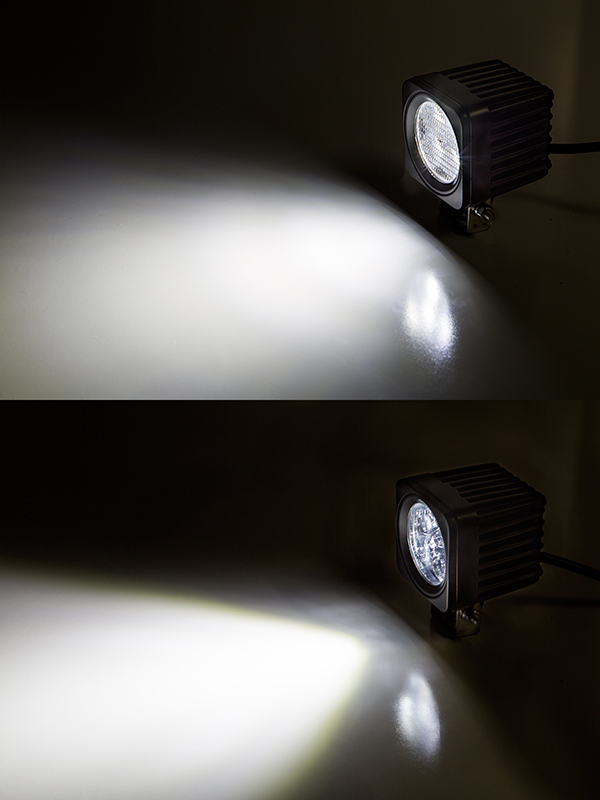 2.5" Square 12 Watt LED Mini Auxiliary Work Light. 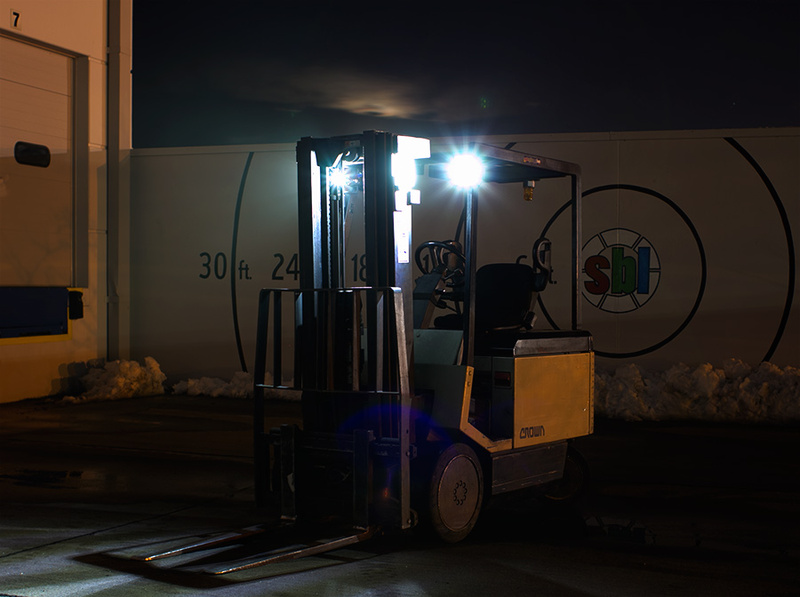 2 lights installed on forklift 40 feet from target with a 60 degree beam pattern. 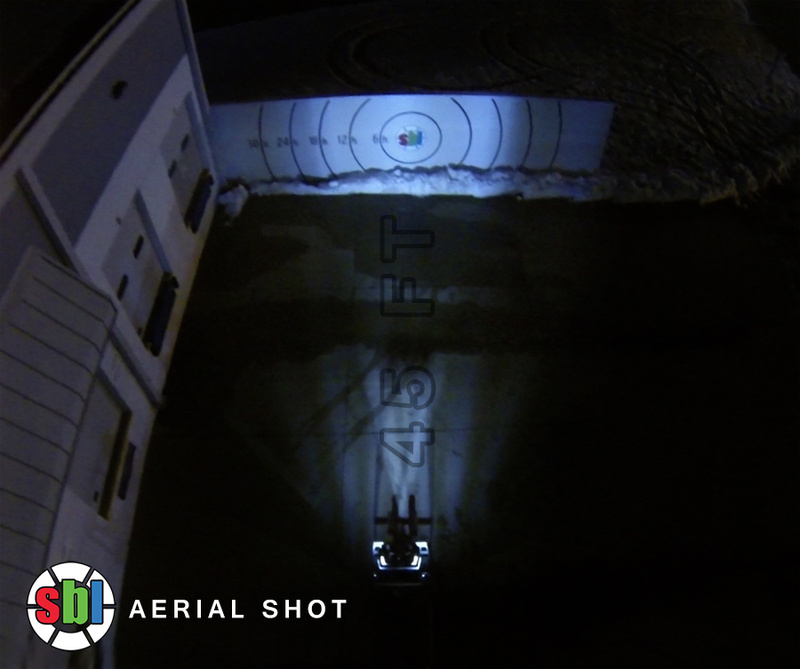 2.5" Square 12 Watt LED Mini Auxiliary Work Light aerial shot of beam pattern 45 feet from target with a 60 degree beam. 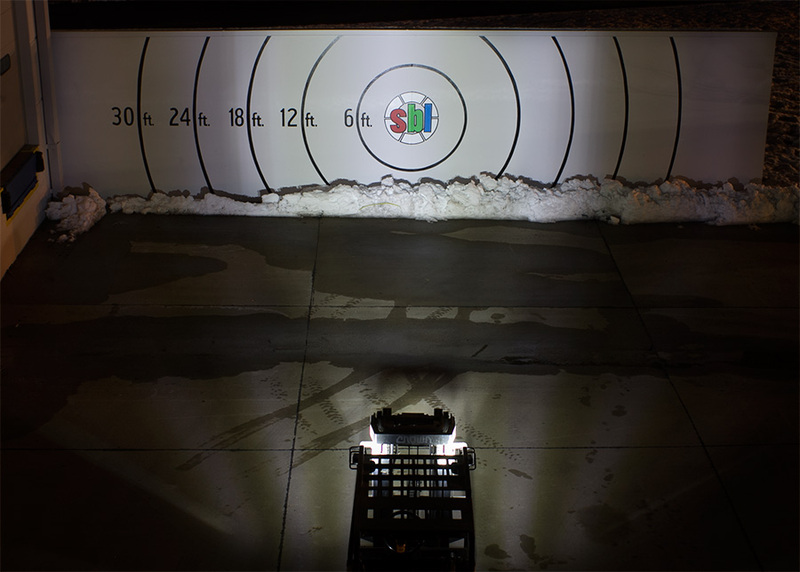 Square 11 watt mini auxiliary LED light pod. 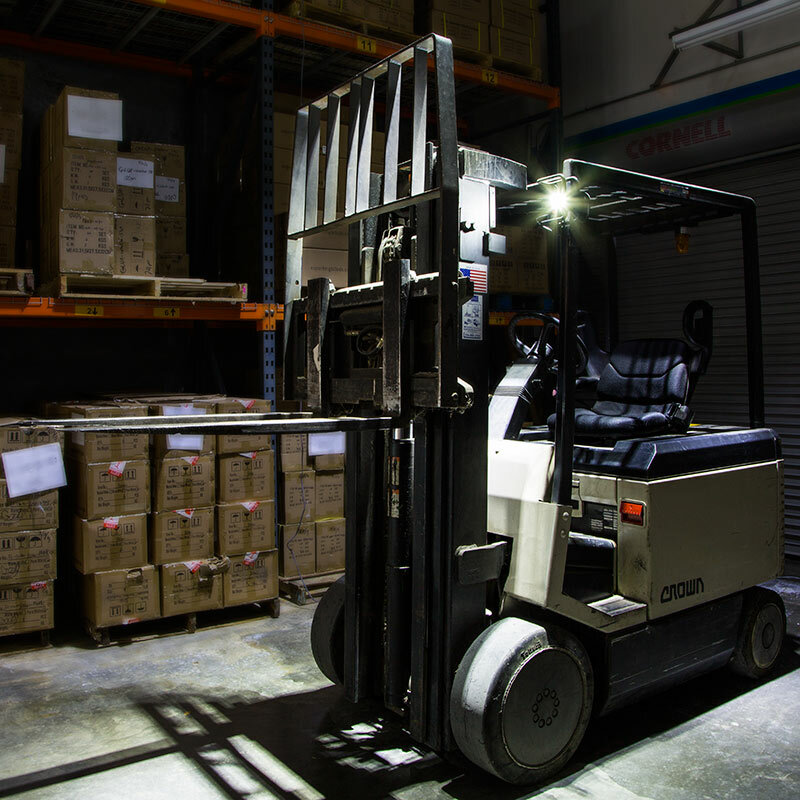 4 x 3 Watt high power Natural White LEDs. 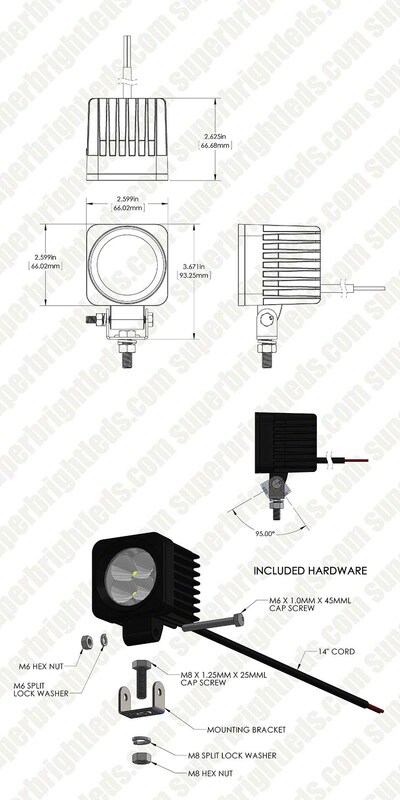 IP67 waterproof light with 12~48VDC operating voltage range. 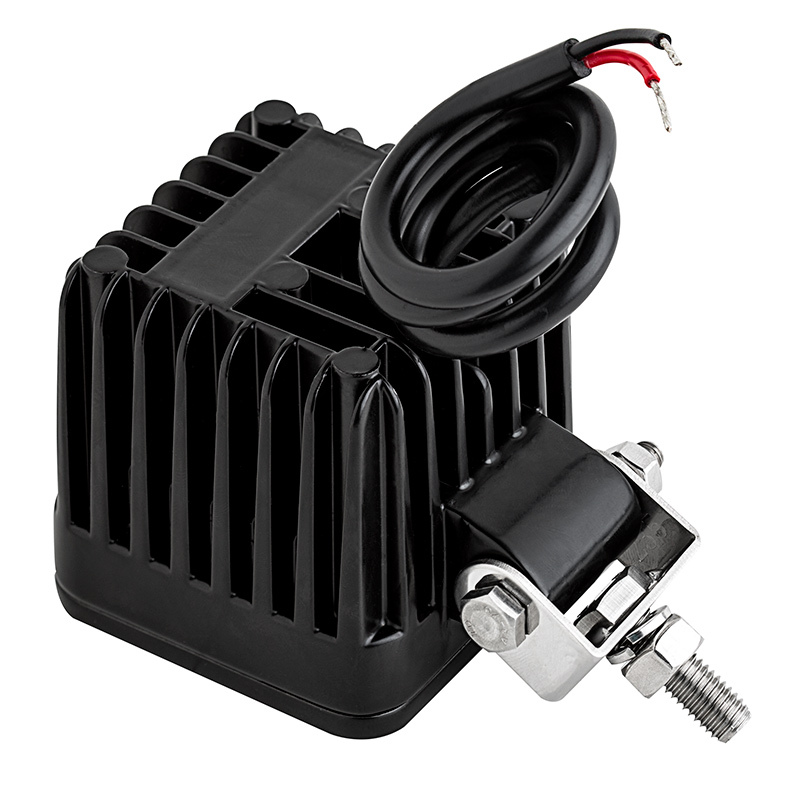 Black painted aluminum housing with integral heatsink and polycarbonate lens. 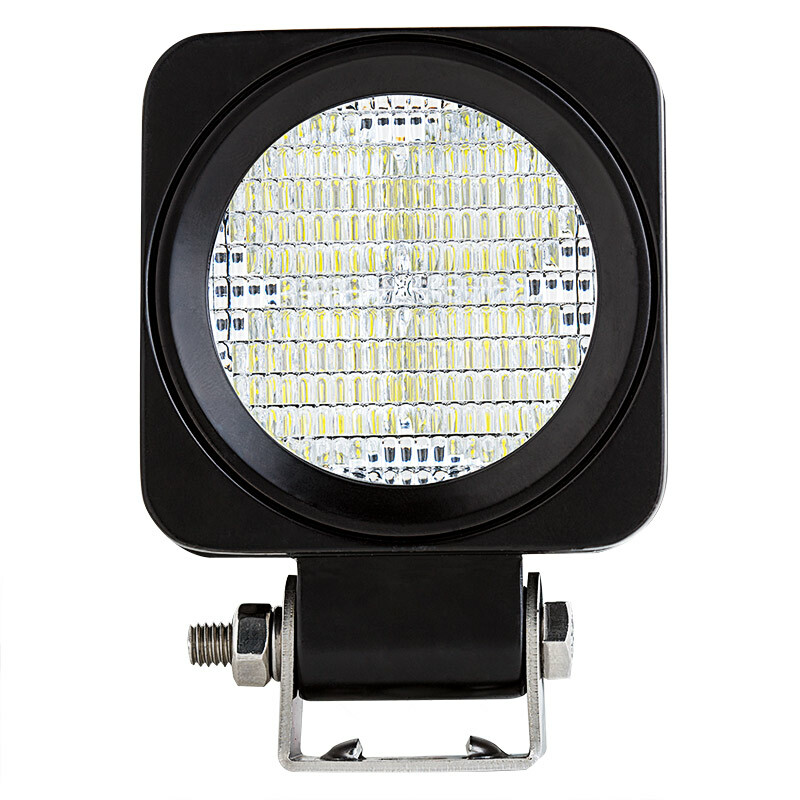 Available with narrow 30 degree or medium flood 60 degree beam pattern. Stainless steel adjustable stud mounting bracket included. Dimensions: 6.6cm(2.6") x 6.6cm(2.6") x 9.3cm(3.66"). Also available in white. So far, a great little light! I just received mine yesterday. Yes, it's made in China, but it seems to be a very sturdy housing. 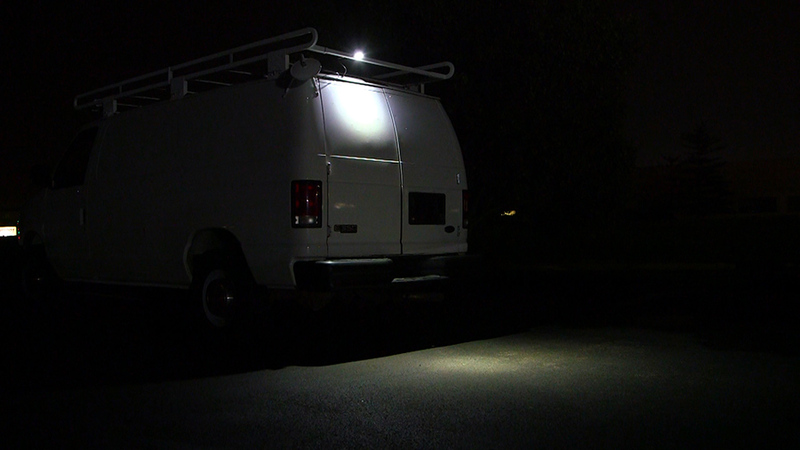 I hooked it up to a 12v 8ah battery, just to see how bright it was. From about 20-25' away, it was lighting up the whole side of my house. 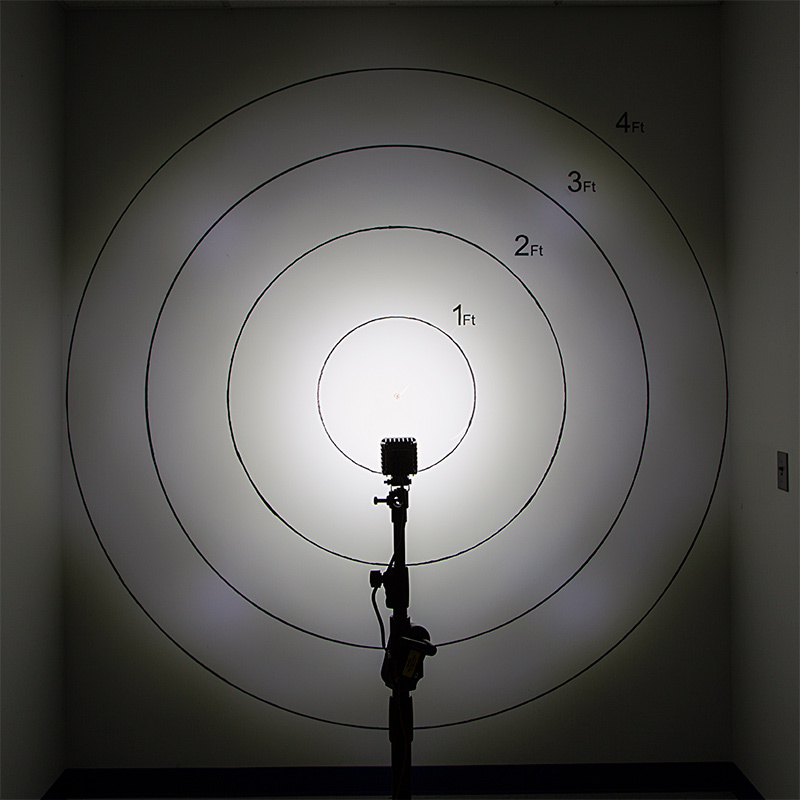 That battery was probably about 50% discharged when I tested the light, but it still ran at least two hours. I dabble with solar projects and small battery packs. 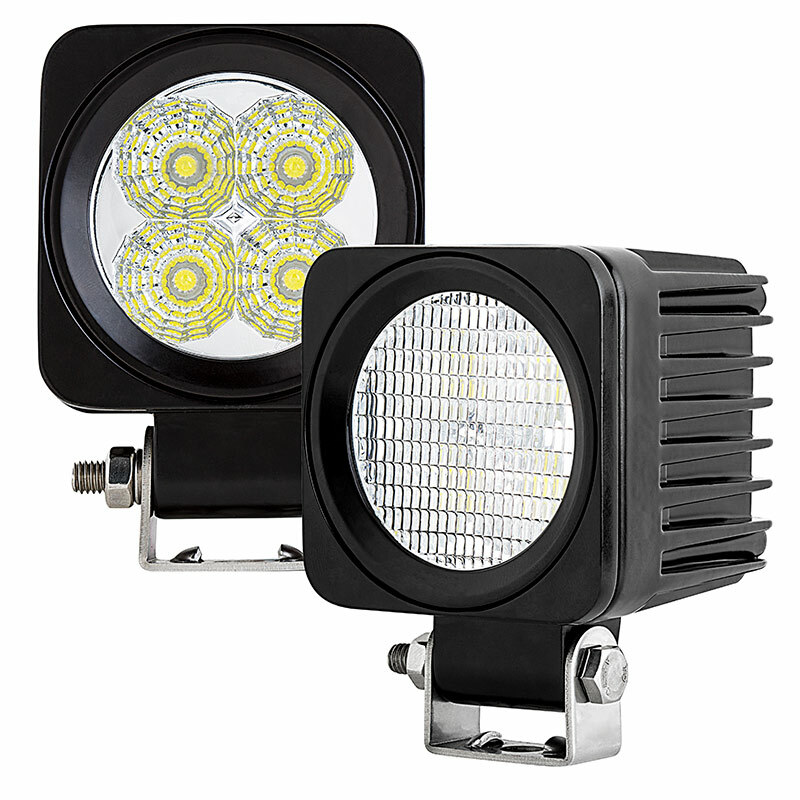 This will be a great little light to light up outside work areas or to use during power failures. As I use the light, if my opinion changes, I'll come back and do another review. So far, I'm impressed. Just received my mini auxillary lights, and they are sweeeet!!! I also purchased the wiring harness kit with the switch, and just a few stand alone switches for another project. Everything was in good working order and came packaged very well. 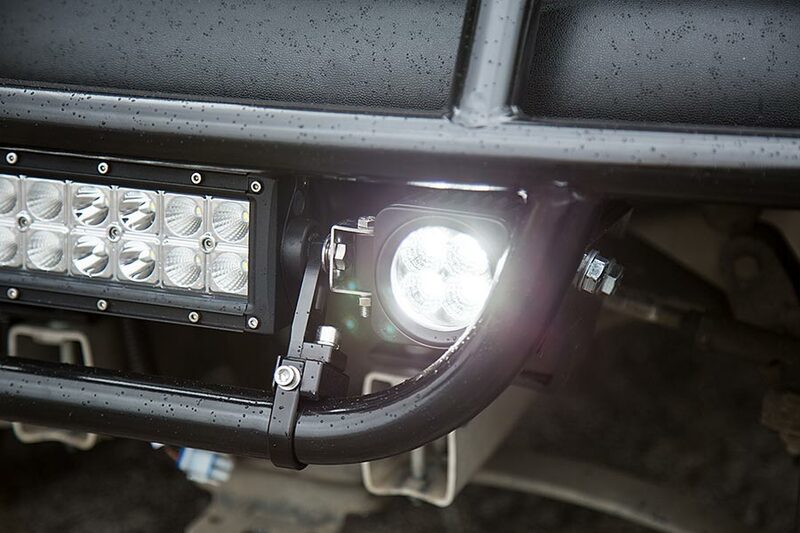 The lights are built well and have a rugged but clean look. I installed them on my zero turn mower and am very pleased with the ease of installation. The wiring harness made it very simple to install them and I liked the quick connect plugs. 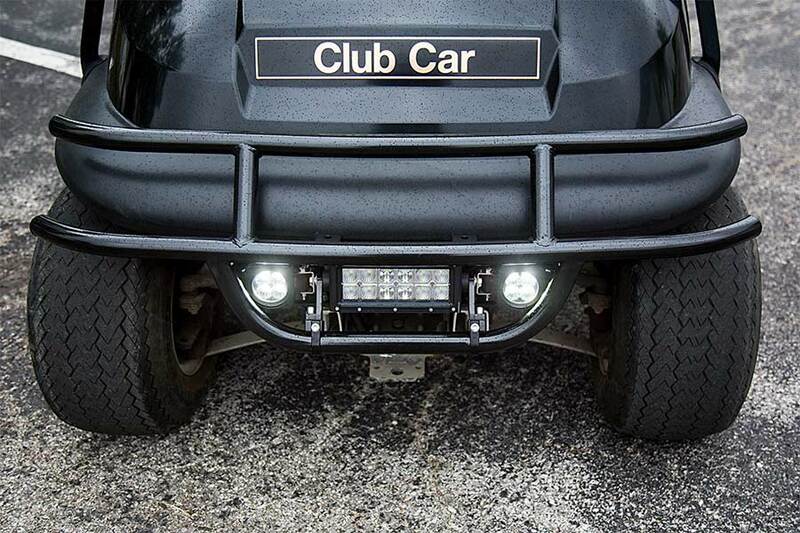 I would definatley recommend these lights, or any of "SBL's" lights or harnesses to anyone. GREAT JOB!!! 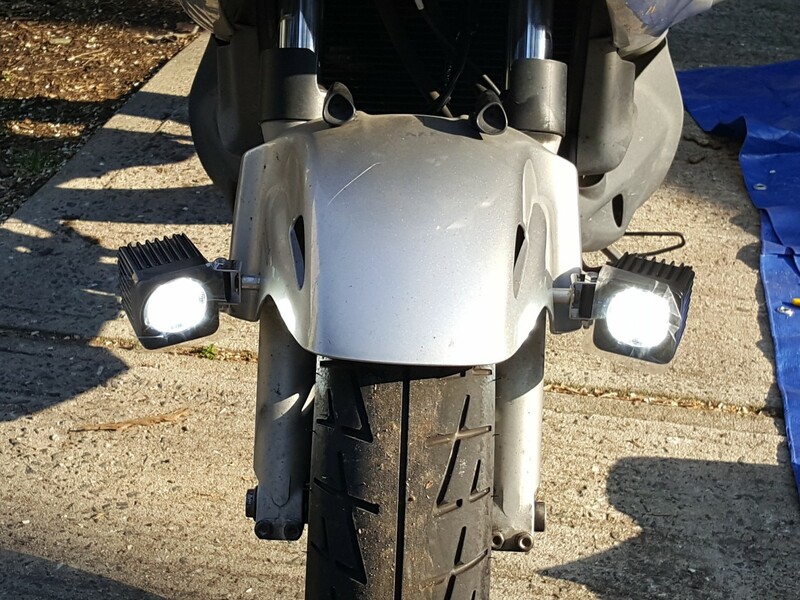 These lights fit perfectly on my Honda Ruckus, and they are extremely bright. 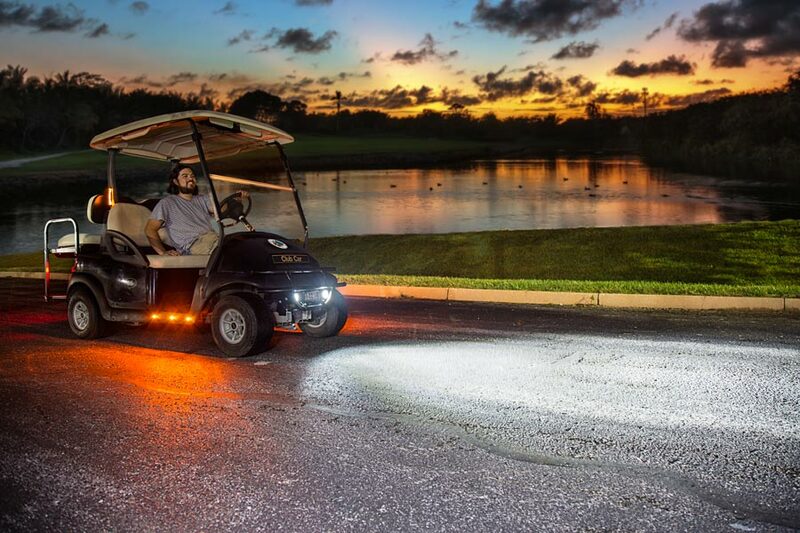 I purchased the flood lights, and they light up everything I need them to. I bought a used bike. It had non functioning lights on the side of the front tires. I could not afford the price of that same brand of lights. Superbright to the rescue- and I found these. They look pretty much the same but cost 75% less. Easy install, and they look & work great. like always , service are really good and the quality of the products its outstanding! !